Around this time of the year, my thoughts are heavy with vacation-related dreams. I start to get that travel bug and can't wait for my next escape. Although that time will come shortly (3 weeks from now feels like an eternity) for now I'm relying heavily on a new fragrance launch to take me where I want to be...without having to leave at all. 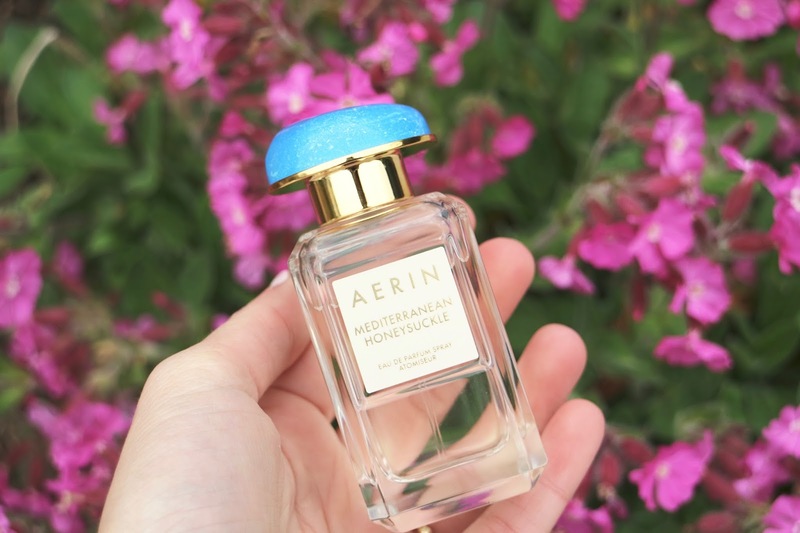 Aerin's new Mediterranean Honeysuckle perfume brings back memories of all my favorite trips to the European seaside. Some of my favorite trips ever were to towns along the Mediterranean sea; sun-washed houses speckling the coastline, bright blooms peppering in between the land and sea, and a warm salty breeze rolling off the water carrying with it the fragrant florals and scent of citrus from lemon and orange groves. It's basically heaven. 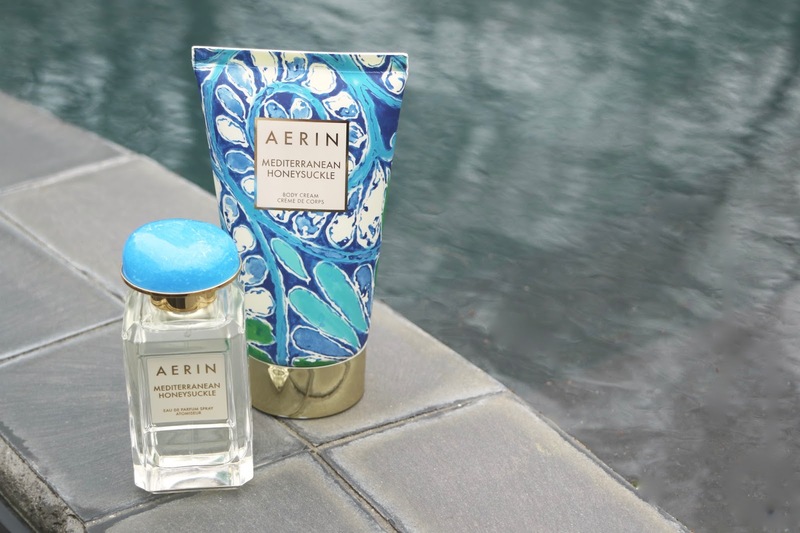 Aerin Mediterranean Honeysuckle is a transportive fragrance that mimics those exact feelings. "Sweet honeysuckle and sparkling grapefruit take you there, evoking lush flowers and shimmering beaches. Sun warmed Italian bergamot and mandarin oil impart a citrusy, long-lasting freshness. Lily of the valley and lush gardenia add to the sensuality and richness of jasmine sambac absolute." It's fresh, sparkling, and floral without being overpowering. I love the lightness and airy feeling of the fragrance, as it really captures the feeling of being somewhere far away on the seaside. It's longevity is enhanced even more when worn over a base of the rich and nourishing Body Cream. The perfect summer fragrance...to wear here or far, far away.